It’s when we dare cross our own edge that we truly give our potential a chance to grow. David is a truly powerful person whom I have the pleasure of knowing. 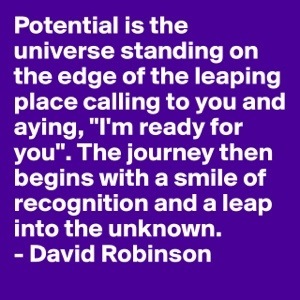 As such, he is an inspiration, helping me leap into the unknown. Ready to smile and take a leap?